ChickenBog, Green Beans, Roll, & Dessert. 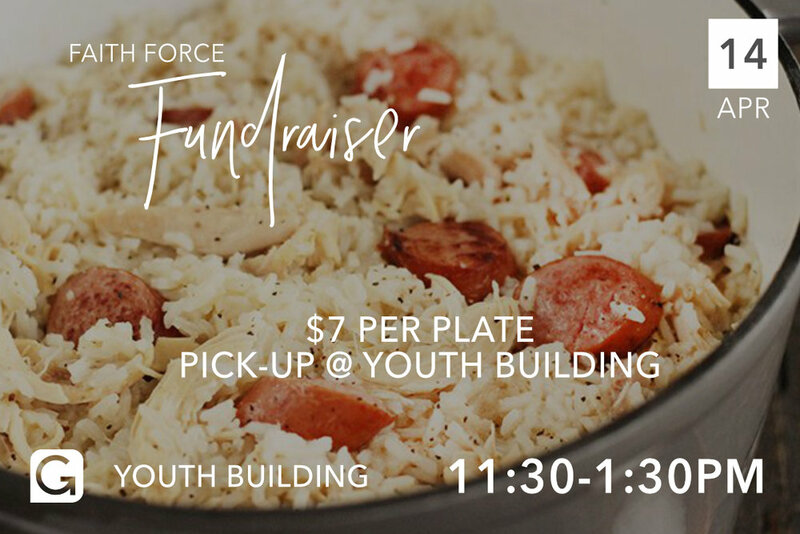 Pick-up meal on Saturday, April14th at the Youth Building. Delivery for orders of 10 or moreplates.